It was a good vacation, primarily because we were in the company of some very special people. 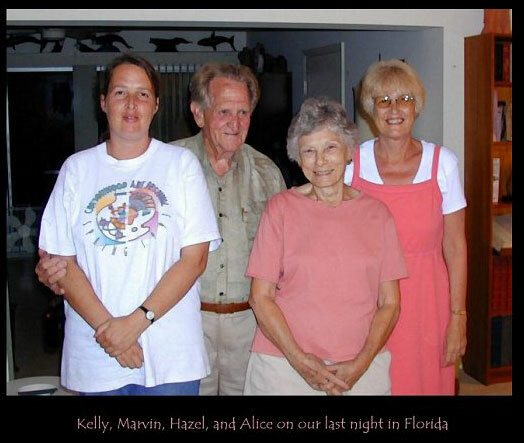 We stayed in a rented house near our friends, Marvin and Hazel. They are the older couple in this pictures and thoroughly delightful. Marvin is a retired physicist and Hazel is a sculptor. My daughter is first in the Tee Shirt and I'm the blonde on the end.